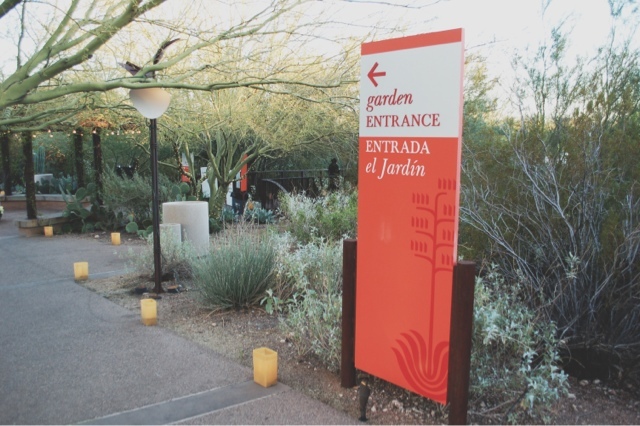 Pretty close to my apartment, there is a lovely hidden gem - the Desert Botanical Gardens. The gardens are a local secret, that I just happened to stumble across this past holiday season. 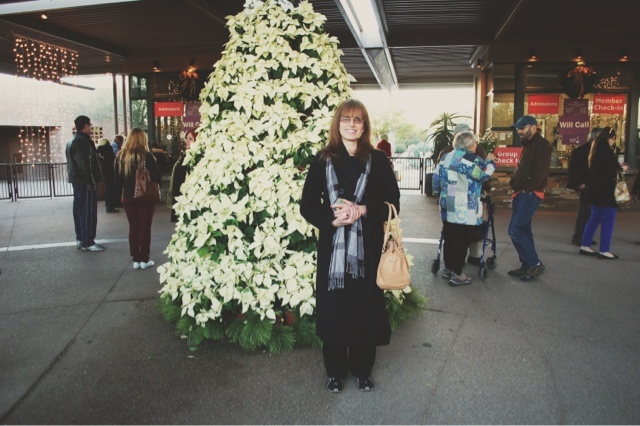 My mom has always been a fan of any kind of botanical garden, often dragging me along to visit the blooming acres of flora that can be found all over Seattle. Naturally, I had little to no appreciation for it until I aged a few years (although, full disclosure, I still get a little twitchy staring at bushes for more than two minutes before continuing on our stroll). 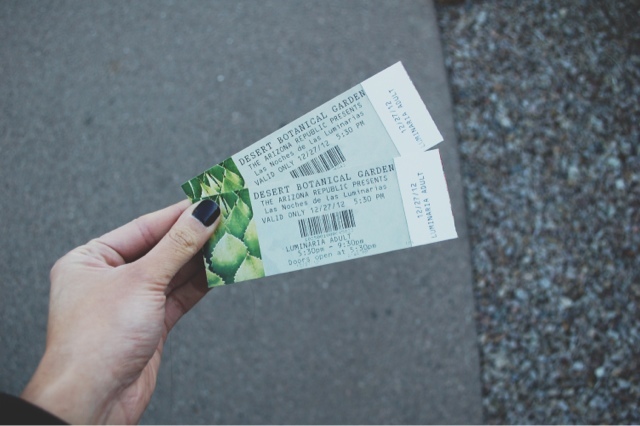 I knew I needed to work this into her December visit, but apparently due to the secret popularness of the Desert Botanical Gardens, tickets had sold out all the way through Christmas. Damn you out of towners! Thankfully a few tickets opened up for the day after Christmas, and I scooped them up as fast as possible. 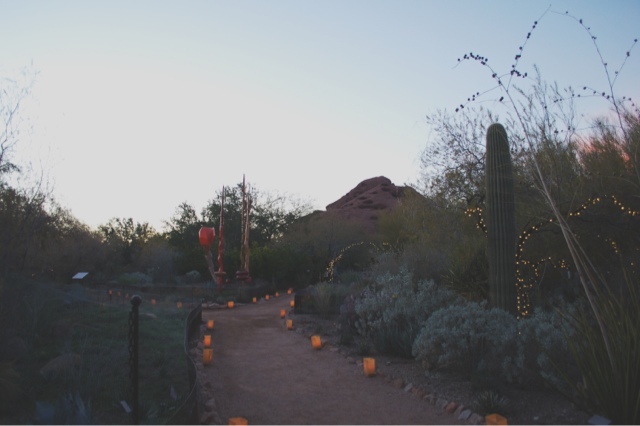 The Gardens hold what is called Las Noches de las Luminarias each holiday season, lining each and every path of the gardens with candle lit luminaries. 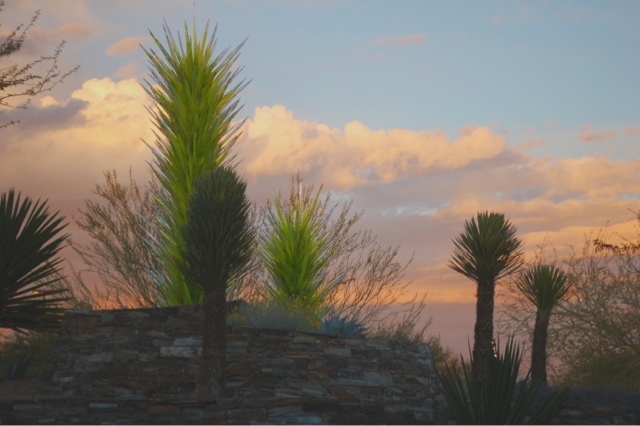 As you curve around the paths, viewing the beautiful Chihuly installations, cactus varieties and desert friendly bushes, you come across stations of musical talent, singing, caroling, storytelling and playing all kinds of instruments. With hot apple cider in hand (if I hadn't been sick, I would have been all over that mulled wine! ), we stolled throughout the park. 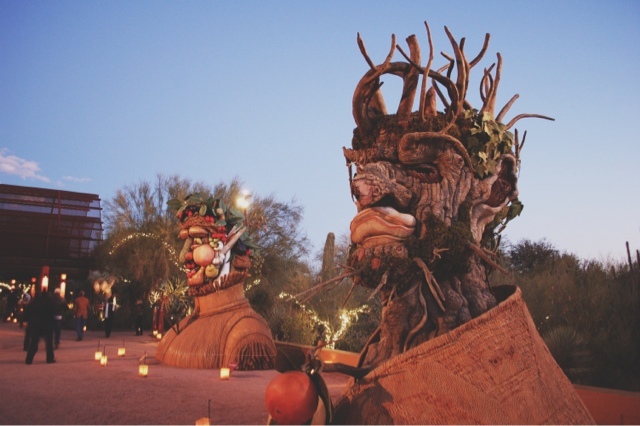 A four person steel drum band, and man with a didgeridoo, a native american story teller who played a hand whittled flute, even a quartet of old time carolers filled our ears with the wonderful sounds of the holidays. It was an amazing evening, and a new tradition which I'm sure we will enjoy each Christmas. 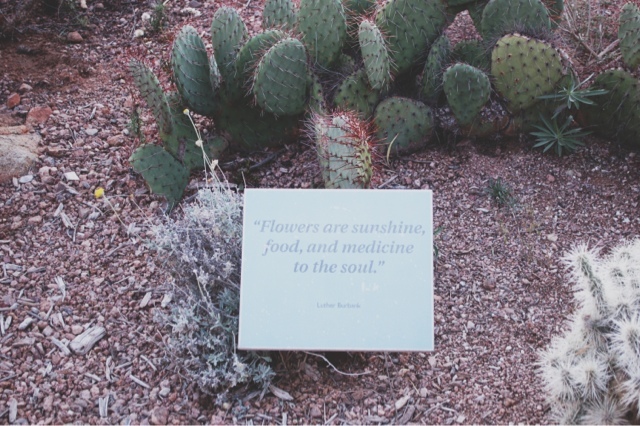 If you haven't had a chance to check out the Desert Botanical Gardens, I can't think of a better place to pack a picnic, grab a good read and a pair of shades this Spring. Unwind and step away from the hustle and bustle of the city. This looks like a great adventure with your Mother! That is so cool or you to take her there, hope you had fun!